Jon Klassen is the author-illustrator of I Want My Hat Back, We Found a Hat and This Is Not My Hat, the only book to ever win both the Kate Greenaway and Caldecott Medal. He also illustrated Triangle, Square, The Wolf, the Duck and the Mouse, Extra Yarn and Sam and Dave Dig a Hole, all written by Mac Barnett, as well as Ted Kooser's House Held Up By Trees. Before making picture books, he worked as an illustrator on the animated feature film, Coraline. Originally from Niagara Falls, Canada, Jon now lives in Los Angeles, California with his wife and son. 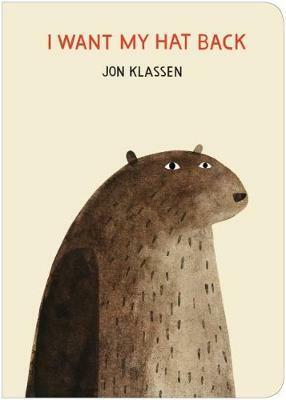 Find Jon online at burstofbeaden.com, on Twitter as @burstofbeaden, and on Instagram as @jonklassen.